Giuseppe Taddei died at his home in Rome, today. The baritone, who would have turned 94 on June 26th, made his operatic debut in Rome at the age of 18 ... conducted by Arturo Toscanini, he sang the Herald in Lohengrin. His American debut took place at the San Francisco Opera in 1957, followed by the Lyric Opera of Chicago in 1959. 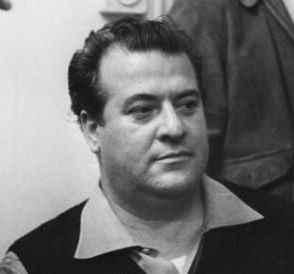 Thankfully, his vocal technique and longevity allowed him to debut at the Metropolitan Opera on September 25, 1985, as Falstaff. He was 69 years old. The cast that night at the MET included Adriana Maliponte as Alice Ford, Fiorenza Cossotto as Dame Quickly and a young Gail Dubinbaum as Meg Page.